Abbot Emeritus: Fr. Denis Farkasfalvy was born in Hungary in 1936. He entered the Cistercian Order through the clandestine novitiate of the Abbey of Zirc, Hungary on March 19, 1955, and on September 18, 1960 he took solemn vows in Lilienfeld, Austria, with the Abbot of Lilienfeld representing the Abbot of Zirc. He was ordained to the priesthood in Lilienfeld on July 9, 1961. In addition to serving as headmaster for twelve years, at the school he taught math and served as Form Master for Class 1974, 1981, 1982, and 1991. He currently teaches theology at the University of Dallas (Synoptic Gospels, Johannine Literature, Mariology and Biblical Inspiration). Fr. 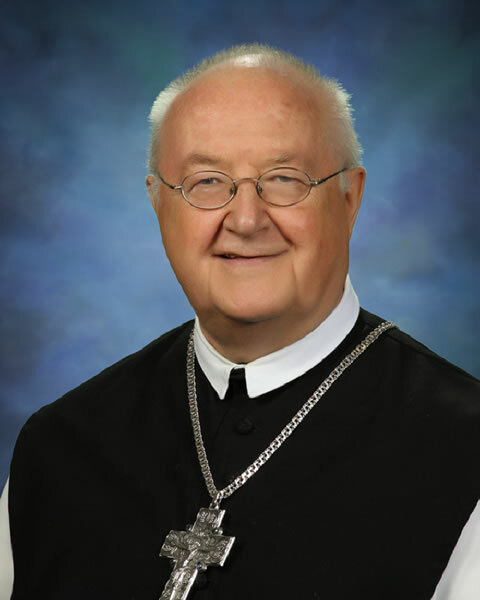 Denis also served twenty-four years as abbot of Our Lady of Dallas, retiring in the spring of 2012.